I love this new direction for this series. 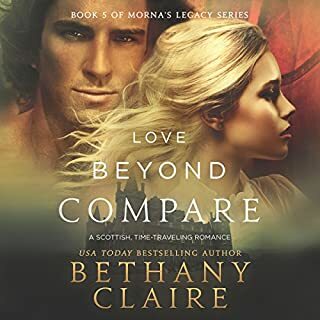 Bethany has a way of bringing back characters we’ve met briefly and giving them a whole wonderful love story. Great story to listen on a short trip. Kate’s story will leave you on the edge of your seat. Beginning somewhere in the middle of Laurel’s story;so much happens to her and the rest of the group on the isle that you can’t help binging and then sad when the book finishes. Laurel's life bears no resemblance to the love stories she writes. While handsome heroes are easy to imagine, they're much more difficult to find. Years of bad dates with creepy men have left her feeling cynical toward all things related to love. 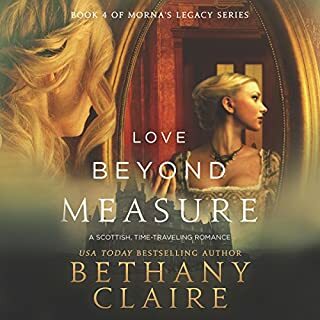 When she and her best friend find themselves caught up in Morna's meddling magic and are transported to 17th-century Scotland, Laurel meets a man who threatens to change her attitude toward matters of the heart. What a story!!! This is such a fresh take on the series. With all of the new characters and a few from previous books; this love story has wonderfully new magic and the same meddling witch we all wish could meddle in our own lives. 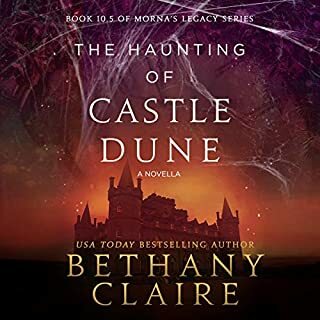 This latest novella from Bethany Claire will surly add some heat to the holiday season. Kenna has been a lovely mother figure to many of the “lassies” Morna has sent back, now it’s time for her love life to have a little magic. Collingwood’s performance brings her story to life. A wonderful treat for those long days of holiday travel. All Morna Conall wants is freedom - freedom to practice and learn about the magic inside her. Perhaps then her world wouldn't feel so small. 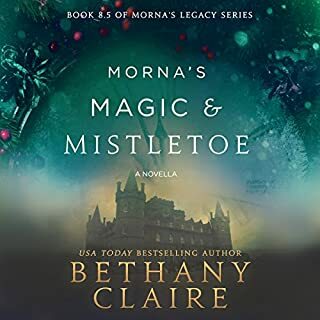 When she finds the spell books and journals of an old mentor, Morna believes she's found the key to her happiness, but when she crosses paths with an injured man in need of help, her plans are derailed. As she spends more time with the strange but alluring man, her dreams change. Maybe magic isn't the only thing capable of expanding her world. This story has been long awaited by everyone who loves this series. It finally gives us the full backstory of how this story came to be. I appreciate the author's attention to the details she has dropped into all of the preceding books, and then elaborated on them. This story was defiantly worth the wait! The best surprises are the ones you never see coming. All Sydney Pearce needs is a change -something to end the stress and chaos of running her grandmother's old restaurant. Maybe then her life will finally start. 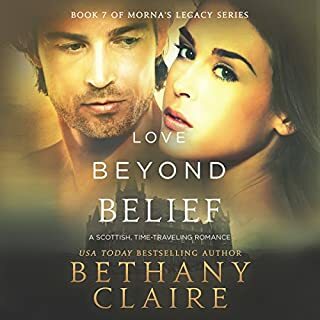 When she receives a job offer to serve as chef at a castle resort in Scotland, she gets her wish and happily leaves the restaurant to begin a new chapter in her life. It's now a proven fact: Scottish men are better than Italian. This installment in the Morna series begins in Italy with another women, this one is a workaholic who sees a need to leave and someone at Cagair is there to help. 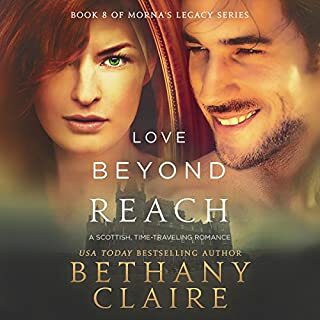 Calling is a Laird we have seen watch his brother and friend find love in the last two books and is now ready to meet the woman he has been seeing as a ghost in the 1700s . 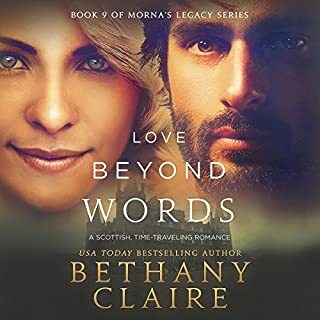 Another wonderful love story with twists and turns thanks to Morna and Bethany Claire. Lily Collingwood has gotten much better at understanding the right voices for each character. Gillian Wright dreams of the same man every night - his kind eyes and gentle smile as familiar to her now as her own reflection. 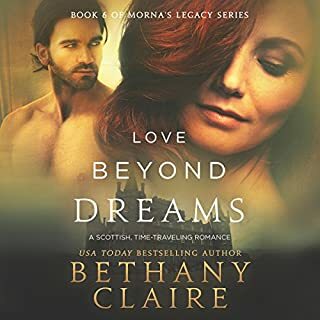 She looks forward to her nights spent with him, but when she starts to hear his voice in the winds around Cagair Castle, she can't help but wonder if he's more than a figment of her imagination. This one picks right up where the last one left us...and I'm so happy about the outcome! All of the favorite characters are back like Jane and Cooper, and a few surprises. With the edition of a new love story this book is not one to miss! Jane Mitchell has many dreams for her life, but living in the 17th century was never one of them. Unknowingly transported through time by the meddling witch Morna, Jane chooses to stay in the past so she can remain in her beloved nephew's life. Castle life doesn't really suit her, and Jane quickly finds that her love for her family isn't enough to fill her hungry soul. Eager for purpose, she takes work at the village inn. One frigid evening, she takes in the most infuriating man she's ever met. 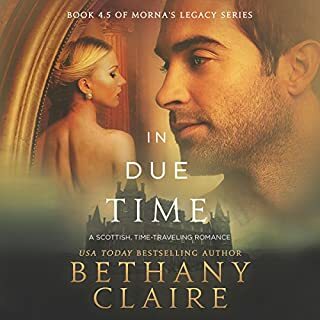 This next installment in Morna's legacy is chuck full of Scottish hotties! Jane is a more "experienced" women then the others in the previous books, which makes for several intense scenes. Cooper is adorable and his ability to make anyone his best friend is the sweetest. Though it ends on a bit of a sad note, it makes you ready for the next book to come out! For Jeffrey Oakes, life in the seventeenth century hasn't been the thrilling change of pace he hoped it would be. The lack of power tools, better hygiene, and cold beer has him yearning for the luxuries of his modern-day life. It might all be bearable if he had someone to maneuver the cultural differences and minimal conveniences with-someone with whom he could make a life. But among the Scottish countryside, with women so different from himself, he knows his chances of finding such a woman are small. Another great book from Morna's Legacy. This novella is great for a quick pick-me-up. The love story is, as Cooper puts it, just like a fairy tale. Short, sweet and just right. Sent to the brink of death by his own brother's blade, Eoghanan McMillan clings to the brief moments he spends in the shadows, watching from afar the beautiful lass he's never met. He spends his time some four centuries after his birth, slowly building his strength so that he may return home, but each glimpse into the woman's life leaves him wanting. He wants nothing more than to know her. Morna has magic; Bethany & Lily have magic too! Bethany Clair and Lily Collingwood have done it again. They have created a wonderful world full of romance and Scotts....and the adorable Cooper. This book will make you wish Morna would meddle in your life.